As the subprime market folds inward, and the housing market looks grim, foreclosure becomes the big buzzword. When borrowers are unable to make payments on their mortgage, the foreclosure process begins. But how does it work? What's the process, and what kinds of foreclosure exist? 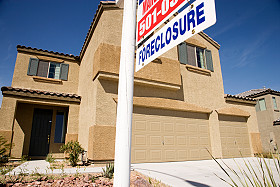 Simply put, foreclosure is the legal means by which a lender can repossess a home. If borrowers do not comply with the mortgage agreement by missing payments, the foreclosure process can begin. It is a process, not a simple signature and eviction. It is a lengthy process, one that varies from state to state due to different laws. Additionally, foreclosure can be stalled or prevented with the increasing availability of personal loans and other options, so it can be a process with stops and starts. Foreclosure begins when the borrower defaults on mortgage payments. The lender then files a public default notice, often called a “notice of default.” At this point, borrowers can reassert their rights to the property by paying off their debt. Many options exist to allow borrowers to do this, discussed in another article in this series. If the borrower pays off the default amount during a grace period determined by state law (known as “pre-foreclosure”), foreclosure has ended and the borrower has averted home eviction and sale. 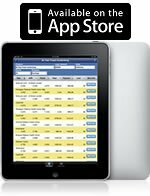 If the default is not paid off, foreclosure continues. Depending on the state, foreclosure will follow a different schedule, and will be classified under different types. One common type of foreclosure is the “deed in lieu of foreclosure” arrangement. Often called “strict foreclosure,” the bank claims the title and possession of the property back to satisfy the debt. The other most common type is the proceeding known simply as “foreclosure” or “judicial foreclosure.” Here the property is exposed to auction by a county or court official. The winning bidder receives a deed to the property. Banks and other lenders usually bid on the property in the amount of the owed debt, and if no other buyers step forth they will receive the title to the property. Other states employ yet another type of foreclosure, called “non-judicial” or “statutory” foreclosure. In this case, when a borrower fails to make payments, the lender may be issued a notice of default and intent to sell. If the borrower does not solve the default with payments or other means, the property will be sold at public auction. Many real estate investors snap up additional properties at these type of auctions. Learn more about foreclosure problem, straw buyers, ways to avoid foreclosure, invest in foreclosed properties, and more in our continuing series.